This recipe is located on page 86 of November/December 2010 issue of Sandra Lee Semi Homemade. My sister and I made these the other night and they were great. 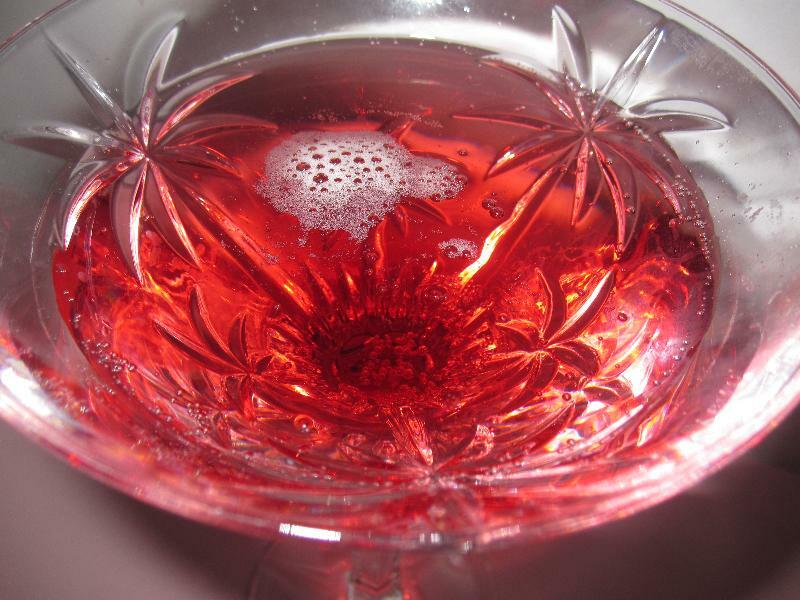 It was such a simple and creative way to drink Champagne. The color of these would be perfect for Christmas, Valentine's Day, or even a Halloween or Twilight themed party. I can't wait to make these again. 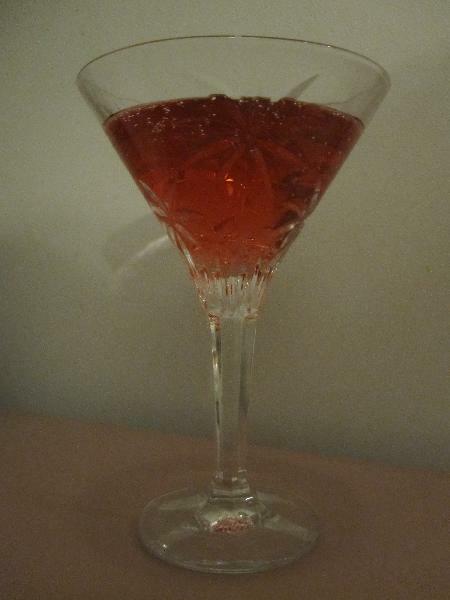 In a champagne flute (I used a martini glass) pour 1/4 cup of the cranberry juice. Top off with the Champagne and serve. anonymous : As your sister I will attest to the fact that these were totally awesome.